Laissez les bon temps rouler (“Let the good times roll”) is the motto of New Orleans, and we’re sure the city won’t mind if you borrow it for your wedding. 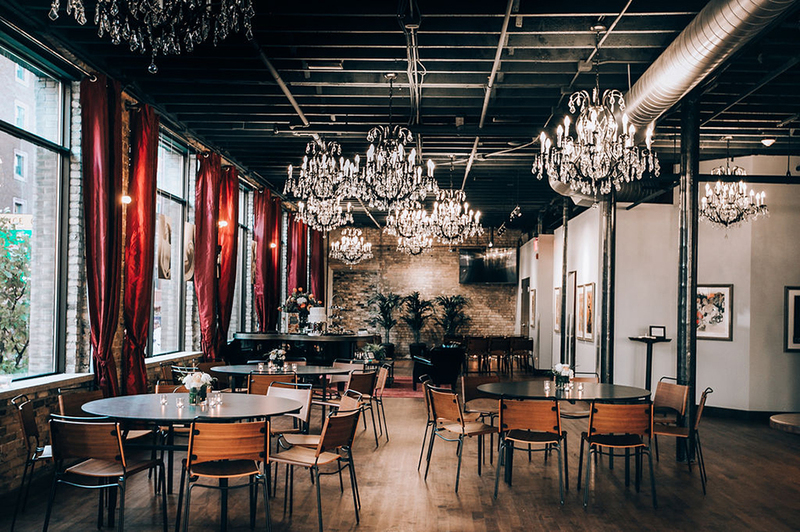 That fun-loving attitude went into Watson Block, a très chic, très glam new venue in Minneapolis’ Warehouse District. The Big Easy inspired the modern redesign of the 1902 office building, which blends feminine touches like crystal chandeliers with more masculine deep blues and reds. The expansive windows and exposed brick and timber boost the awe factor. 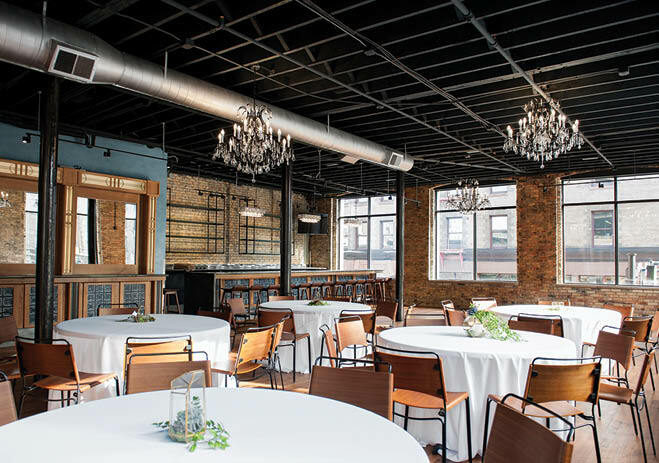 Watson Block, which opened last spring, can host 120 for a seated reception, 150 for a cocktail-style soirée and, fair warning, may encourage Mardi Gras-level parties.